Sorry, Eric Abidal fans – nothing to report today, probably on account of the fact that Barca had such a close shave last night the Champions League quarter final, they wouldn’t have wanted to bring on a defender anyway. Hey Eric – you’re not in this one. Besides that though, a report out today shows that organ transplants are on the up – an increase by no less than 50% since 2008 in fact. Hey guys, I am in those statistics. But, shockingly, this increase is not down to more people registering to be donors – it is down more to nurses and transplant coordinators doing more at the time of bereavement to persuade families to release their deceased loved ones’ organs. And in fact, of the deceased donor card carriers, 125 family members over-ruled their loved ones’ wishes and prevented organ removal. Remembering that body has the potential to provide up to nine people through the donation of a heart, lungs, two kidneys, pancreas, liver and small bowel and two corneas, that is quite a call to be made by people. So, I believe this report shows that there is a trend upwards towards more organs being made available – it still staggers me though, that with all new legislations made by consecutive governments, there still seems to be a reluctance to push through the opt-out system that would radically transform, overnight, the number of organs made available for transplant and would potentially save the lives of thousands. The only reason for not transplanting then would possibly be down to the lack of doctors, nurses and hospital beds – but that is a problem worth solving, is it not? It seems appropriate for me, having followed the story of Barcelona footballer Eric Abidal in this blog, to bring you the truly amazing news that Eric is now fit and able to play again. 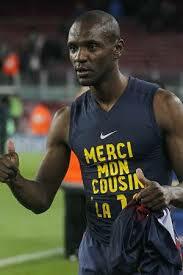 Barcelona defender Eric Abidal has been cleared to play after almost a year out to undergo a liver transplant. “After this morning’s training session Eric Abidal has received the welcome news that he has the medical all-clear and is therefore available to the team for the final part of the season,” Barca said in a statement on their website. Not only just play again – but we are talking about playing at the very highest level, for the very best team the world has ever seen. There is hope for me yet! I always wanted to play for Barcelona. If he plays enough games between now and the end of the season, he could get a league winners medal – as Barca will win the league this year – I ask the question: Should Eric’s brother get a winner’s medal too? After all, they used his liver to keep him alive, so stands to reason in my book. On a sadder and unrelated note, I note the passing yesterday of Kevin Ayers – eccentric English musician of 60’s band Soft Machine and numerous solo albums and collaborations. He was very much a part of my growing up – especially his album “whatevershebringswesing”. 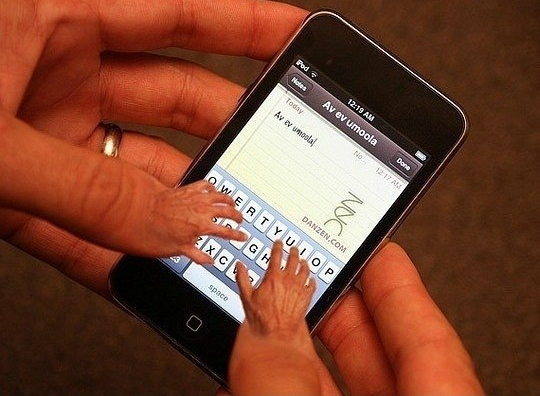 Just checking in. And acknowledging a noteworthy event that occurred yesterday. You may recall that the subject of my most recent (albeit some months ago) blog posts, Eric Abidal, the Barcelona footballer had a liver transplant earlier this year. Well, it has been announced that he has rejoined the club for training with a view to playing in the first team again. This really is an astounding fact and shows the true wonders of medical science and the medical teams around the world who practice it. Apparently he asked his consultant, if, after his transplant, he would be able to play first team football for Barcelona. His consultant replied YES. And so it will come to pass. Similarly, I am going to ask MY consultant if I, too, will be able to play first team football for Barcelona. As for me, by the way, since you ask, I am doing very well. Bloody marvellous really. Never felt better, really. I do have one odd goings on with my blood results, a couple of levels are the wrong side of normal – iron level, vit D – that kind of thing. These will be monitored an, hopefully, dealt with in the appropriate manner. A few reasons for writing this blog. 1) I haven’t written for a while – on account of my stunning good health. Every day someone says to me I look better and better each day – funny that, they never told me I looked crap before! Another reason is I just couldn’t let this day go by without making use of that song title – and who is the perfect cousin in question you may ask? The answer is -well, I don’t know his name but – I do know he is Eric Abidal’s cousin. Eric Abidal, you may recall is the French international player, in Barcelona, who was told he had to undergo a liver transplant – and I happened to wonder just how long someone of that standing would have to wait for a donation. I should perhaps have not been so cynical (if indeed I was) as the news comes through today that he underwent the transplant just last night with a liver (or part thereof) donated by his cousin. Now, I ask you to consider this if you will. The liver transplant is a major operation. Imagine offering to go through that – with all the risks involved, both during and post operation just to help out someone else – family member or not. I think it’s heroic. So, I call on you today to say a little prayer – however you believe, however you pray – for Eric Abidal’s cousin and for Eric Abidal himself – and to send a message out to the world that humanity still offers up feats of greatness. I have just found today that the great French footballer, Eric Abidal, who plays for the best club team in the world (yes indeed, Real fans), Barcelona, is to undergo a liver transplant. I was aware he had a tumour a year or so ago, had an operation, but magically returned to help Barcelona lift the European Cup last year. But obviously, the signs are still there and transplant is the only option. He is expected to undergo the operation in a few weeks. Presumably (or not) the seriousness of his condition puts him at the top of the list and has nothing to do with the enormous amount of cash he has. Staggeringly, they are reporting that this has put his participation at the forthcoming European Championships in doubt. They start in June – it would be truly wonderful if he could be ready to play a part in the tournament given that it will likely be less than 3 months since his operation – then you’ll all accuse me of making a mountain out of a molehill in the pages of this blog. But I do so hope he makes it. I hope he makes it through the operation. And I hope he makes it through to be able to play professional football at the top flight again – that would be a truly remarkable achievement and would give this footballer a chance to raise awareness for the cause of liver disease around the world – and the corresponding urgent need for voluntary donors for transplantation. Ironic isn’t it that a footballer could have such an influence in this field – given that the one man in history who has done so much damage to the cause of liver transplants was also a footballer – George Best. Such a high profile figure he was. Arguably the most famous footballer ever – yet he was as famous for his alcohol abuse as much as his football. Famous for (allegedly) jumping the queue to receive a liver transplant caused by his alcohol abuse, and then (allegedly) went on to abuse his new liver leading to his untimely death. The effect of his actions led people then, and now, to believe that giving money to a liver charity was a pointless activity, as it was only going to help people who do not want to help themselves and who bring the disease upon themselves. Wasn’t the case with me. Isn’t the case with many. Certainly not the case with Eric Abidal. I wish you all the very best, Eric, for a successful operation and a return to greatness – and I hope you will do what you can to show that a footballer can create a more positive awareness for liver disease around the world. My wife does competitions. Always has. Obsessive you might say. She wins on the odd occasion which helps to rationalise the activity. The more common prize she wins is a short holiday break somewhere in England – hey not to be sniffed at – especially if she decides to take her husband with. And so it was, some months ago that she won a Champagne Dinner for 2 and overnight stay at a Posh hotel in Stratford. (Avon, darling…not the one overlooking an Olympic building site). However B contacted the hotel and said she’d love to come but unfortunately can’t as she (we) did not want to be so far from the hospital in case I get the call to show up for the liver transplant. So she asked if it could be deferred until after I have had my operation and am sufficiently recovered that we could make it our first little outing together with our new liver. The were accommodating. Some months later I duly had my transplant, and started on my road to recovery. We figured that I would/should be ready by the end of May – which, conveniently coincided with our anniversary. So B contacted the hotel a few weeks ago and booked us in for next weekend. Not this weekend. The following weekend. That’s great. Don’t you just love it when a plan works out so neatly? A lovely romantic weekend away with my lovely wife as we celebrate the beginning of a new era. Sat 28th May. Wembley. Man Utd v Barcelona. European Champions League Final. Pate de foie gras, sir? Warning: If you don’t like football – look away now. Football is the beautiful game. Not always, granted – but last night’s Arsenal/Barcelona was about as close as you’re going to get. I am one of those annoying football fans – who like to see things exactly as they are – none of the emotional crap that goes with being a fan – none of those biased, in some cases, bigoted and in all cases blinkered viewpoints that cloud sensible discussion of the beautiful game. Many would argue, that by taking out that subjectivity, you are removing the most fundamental aspect of being a football fan – well that argument is for another day. For me, last night, at least the first 15 minutes of it, was the most most sublime piece of artistry that a collective group has ever put together for a single cause that I can remember. And let’s face facts. Barca were up against the most gifted collection of players that grace the most successful league in the world – the fact that they didn’t score was invariably down to the woeful quality of one of the world’s most expensive player – Zlatan Ibrahimovicz. Normally football clubs spend millions of pounds on star players with the intention of recouping much of that expense on shirt sales. But no-one would ever buy a shirt with Zlatan Ibrahimovicz on account of a) there are just too many letters to buy – when you can opt instead for a Messi, a Xavi or a Pedro and b) he’s crap. So there we were last night in a game that had just about everything – an away team with 70% possession at Arsenal’s home ground, about 15 shots on target to 1 and an astonishing display of one-touch passing that confirmed that the game can indeed, be the beautiful game. But half-time came and still it was 0-0. Incredible. The second half starts and before you can say “Zlatan Ibrahimovicz” Barca race to a 2-0 lead – both goals from… Zlatan Ibrahimovicz of course and Barca on their way to the inevitable landslide. Nobody could have predicted Arsenal’s soft goal to get them back into the game but the final twist in a memorable encounter will result in a trivia question years from now. “Who scored a penalty with a broken leg?” You all know the answer today of course – but if you ever want to know why people continue to love the beautiful game then last night provided the answer. The fact that I was able to watch it in the presence of a sleeping Mo, a should-be sleeping Weedy and a barely interested Po simply did not detract from the spectacle. I fully expect the belated landslide in the return leg – of course. (And my secret tenner goes on Zlatan Ibrahimovicz to bag a hat-trick).